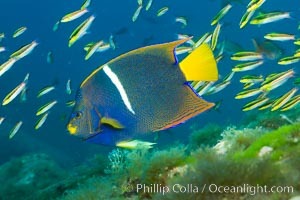 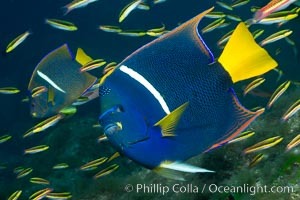 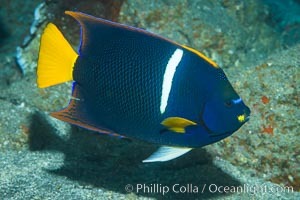 King angelfish in the Sea of Cortez, Mexico. 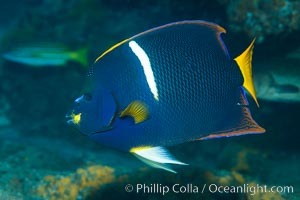 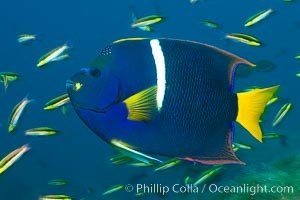 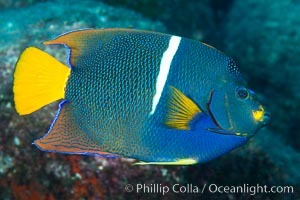 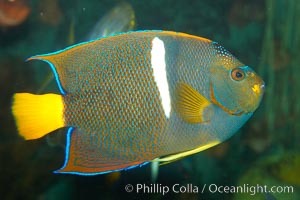 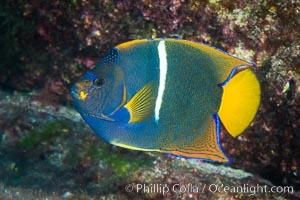 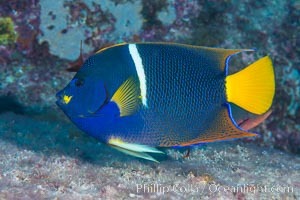 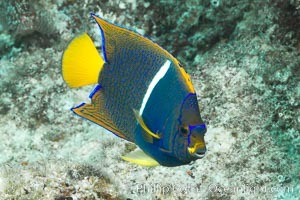 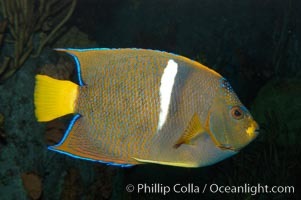 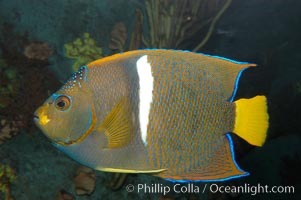 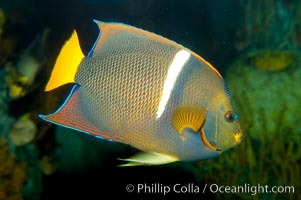 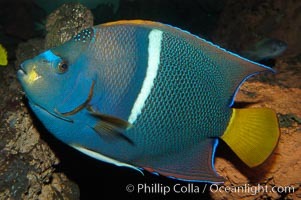 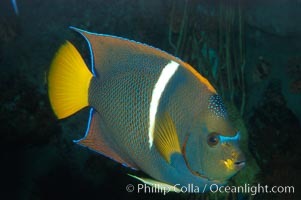 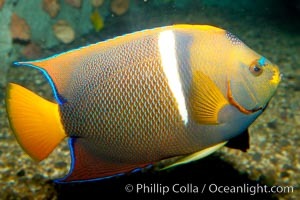 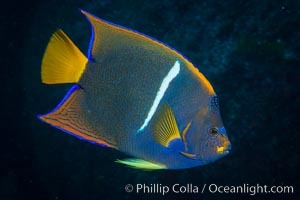 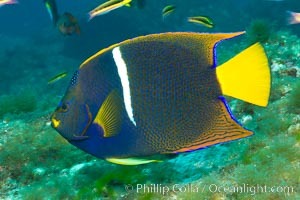 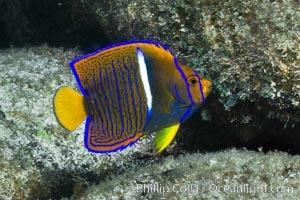 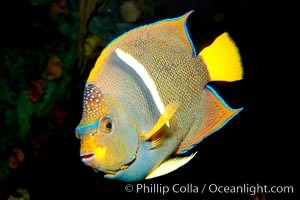 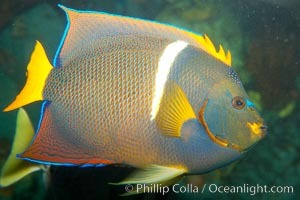 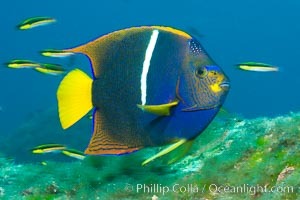 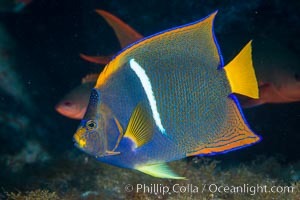 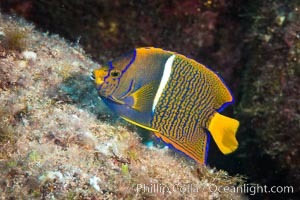 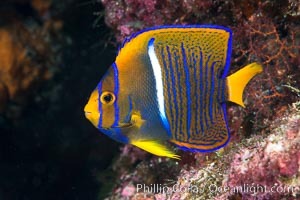 King Angelfish, Sea of Cortez,. 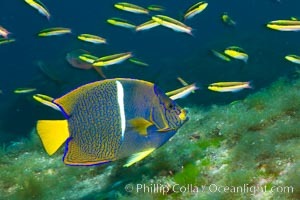 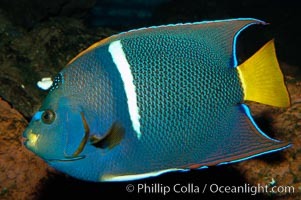 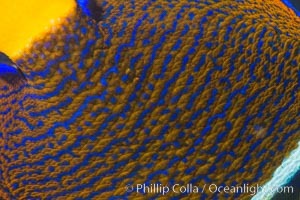 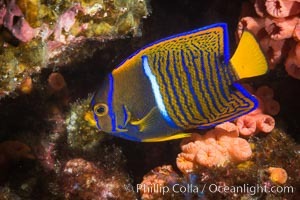 Juvenile King angelfish in the Sea of Cortez, Mexico. 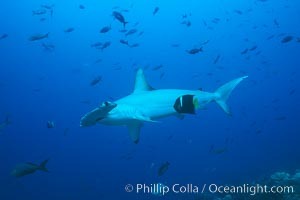 Scalloped hammerhead shark cleaned by King angelfish.